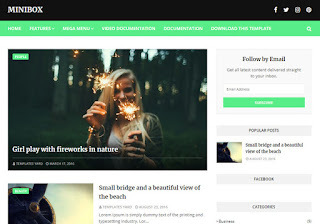 MiniBox Blogger Template is a very high responsive blogspot theme with attractive faster loading speed, it fits any or very screen size with beautiful layout on every aspect ratio. With 100% responsive design and highly optimized SEO, it is one of the best option available for all blogging niches. 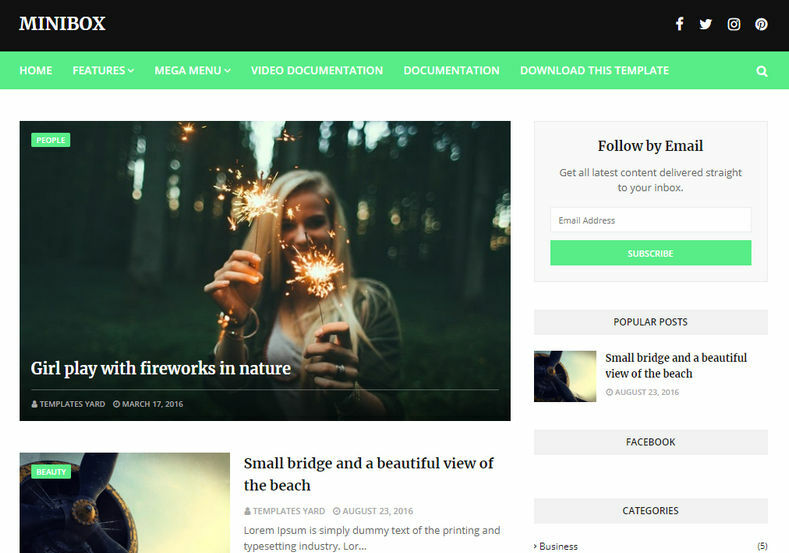 Made with blogger’s latest and seo friendly codes, it is a fast loading and easy to customize theme that features and elegant but extremely functional layout.